Sign up for Dock Hardware Newsletter and get notified of new products, sales, and coupons, straight to your inbox! 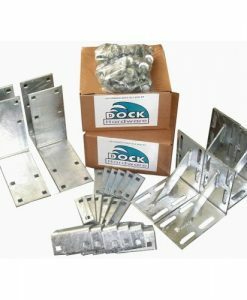 This set includes all you need to install your cleat to your existing dock system. 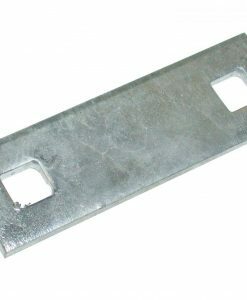 Included in this set is as follows: (1) 12″ Cast Iron Cleat, (1) 5″ L x 1/4″ T Galvanized Cleat Angle, (1) 5″ L x 1-1/2″ W x 1/4″ T Galvanized Washer Plate, (2) 1/2″ x 3″ Galvanized Carriage Bolts w/ Nut & Washer, and (2) 3/8″ x 4″ Galvanized Hex Machine Bolt w/ Nut, Washer, & Lock Washer. 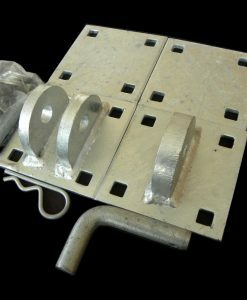 All in one cleat includes all hardware needed to mount the cleat to your existing dock. 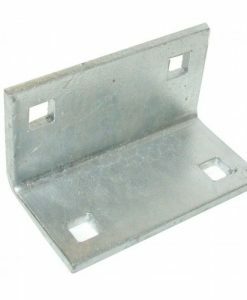 The included mounting hardware is made of 1/4″ hot dipped galvanized steel. This dock cleat is made of heavy duty cast iron that is built to last. Remove Floating Dock in Winter? 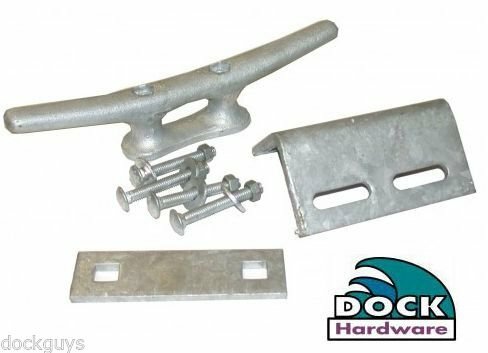 Dock Hardware is one of the largest manufacturers of boat dock hardware in the world. 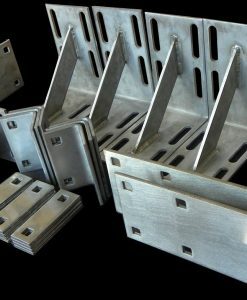 All of our Marine grade hardware has been designed to provide the greatest strength and flexibility for any Articulating Wood Dock System. 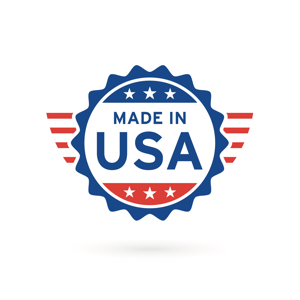 All of our products we proudly make in the USA.